I found the neatest looking little pattern for a primitive hook rug. It looked so unusual on the package, and I couldn't quite figure out how you made it come out to look as it did on the package. 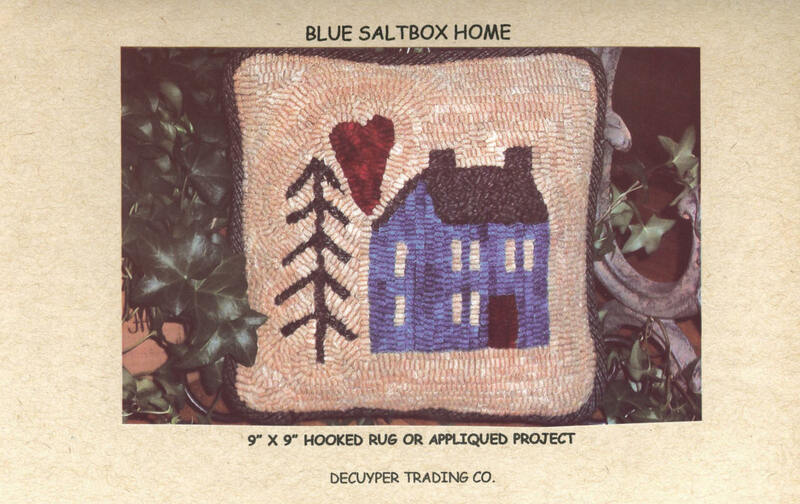 I had only seen the rug "latch" hooking that you do where the ends of the yard are both pulled to the front and you make a sort of "shag" rug....like in the kits you buy in the stores. It was eye opening for me...I was not prepared for the expense involved. Maybe I can find some old wool skirts at the thrift store??? Maybe. I did find one lady on ETSY, who sells batches of cut, colored wool strips...maybe I will buy them from her to get started. I am looking forward to the day I can start this wonderful new craft! 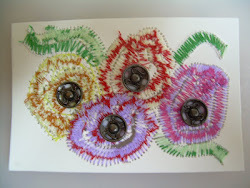 To all of you mixed media artists out there...I can see some awesome beads and metalwork sewn into these as well, for wall art!!! Hint, hint, Lynn!!! My daughter in law snapped this pic of Doozey being her usual cute self. Why do I love this little doggy so much? She looked int o my eyes last night as I was kinda laying back on the couch and then started to give me a leg massage! WOW! I could feel my heart swell up when she looked into my eyes though...it was a look like we both just know how much we care about the other (or that was my interpretation anyway)...am I starting to sound like Shirley MacLaine??? Oh dear. Oh well...now I understand what she is talking about when she talks about her dog. Dooze says "please don't look at my toenails...my Mom plans to cut them this weekend..."!!! I woke up at 4:30am...this is my first weekend to work, and I am kinda nervous. I hope everything goes well. I'm sure it will. I am a worry wart! I saw a cool idea at Cloth, Paper, Scissors Today for making a fabric/cloth book. I always want to make art, but have no where to display it...and this I can just collect. I have other books I like to collect...so this would be a format I could live with! I have a pair of circus tickets that are so pretty...I plan to get them in there somewhere! 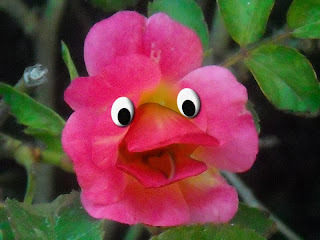 Art from scraps...that is me! Have a fun weekend, everyone!!! Well, tonight, after I got home from work...I suddenly realized that I have tomorrow off! I am having to work the whole holiday weekend...but next week I will have Tuesday off for the holiday and then Friday, Sat and Sun next weekend!!! We are thinking of some fun day trips over that weekend for sure! Do you think I can get out of Florida for a day? It would be nice...even just to cross the Georgia border for some genuine fried catfish!!! I will have to see how long it would take us to get there and back. Hehehe....now that's what I'm talkin about!!! Yeah to the American Idol winner! I am so happy for both of those young people! What a trip, eh? So this morning I was looking out the window, and I thought I spotted a really amazing flower emerging from my Euphorbia Lactea (it would be a first)...so I ran out there...and found that several of the tips of the plant had turned a bright pink (sun). Oh well...maybe one day it will bloom! These Cosmos are so sweet and delicate...I just love them...had to get a few close-ups! Here is a pic of the Kalanchoe blooming on the front porch! Love that yellow color! Bye-bye tomatoes, and hello okra! I have only three tomatoes left on my three remaining plants...and then the season is over! I kinda want to cry, as this was my most proliferative year with them. I will have three empty 5 gallon buckets, and after talking with hubby, we think it will be best to fill with more okra plants! I will put two per bucket again...it seemed to work well, and I still have about 5 plants that overwintered from last summer going strong right now! Get ready for more okra bloom shots! They are just so pretty! I will miss you pretty tomatoes...see ya in October again! Well, check this out! I was a winner on Amber's blog, called I HEART EVERYTHING! Her blog is about everything vintage! I love it. She is so fun natured and even has her own video arcade at her home! Check out her blog for some really neat fun! Anyway...you will not believe what she sent out for her giveaway! FEZMINGOS! Pink flamingos with fezes on their heads!!! Here are a few pictures as I opened my box! She also sent some stickers along which feature her blog! 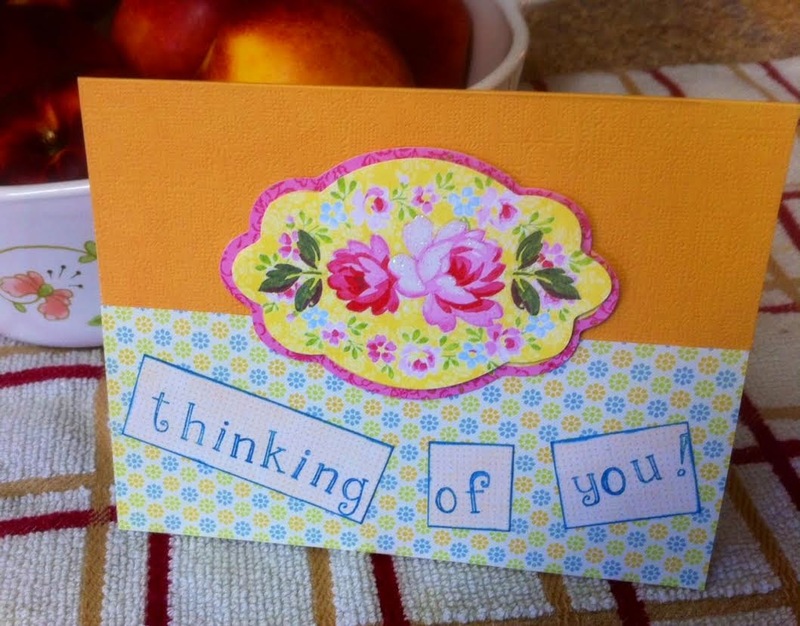 I used one of the stickers to make her a thank you card! This was a lot of fun, and I certainly can say that it is probably the only time I will recieve a flamingo in the mail! Thanks so much Amber!!!!!!!!! Well, the grandkids went with their Dad today, which afforded me the luxury to go to lunch with my husband and my Mom. We went to a Puruvian restaurant, which is similar in feel to Cuban. We had baked chicken, black beans, yellow rice, fried yucca, and sweet plantains! It was all delicious and we left there as full as ticks! Then I decided it was paper makin time again! This time, I added a piece of blue and a piece of green construction paper to my shredded white paper, and this is how it turned out. It looks nice. I put a few of my pink sheets next to them, so you could see them all together. Not so much of the blue showed up, but there is a little glitter to the mix due to the one piece of paper having a sort of built in glitter, and I also see bits of a red color in there (no idea where that came from)...and again, I love how some of the shredded white that had words on them came through...very nice! I wanted to tell you that I have kind of developed a new way to clean house on paper making days! I first run in the kitchen and put to boil all my shredded papers, then turn off the heat while I go and do a few chores. Pick up, run the vacuum, or start a load of laundry, etc. Then later, when it has cooled a bit, I run in and put the paper/water mix in the blender and grind to a pulpy mess. The I leave again and do a few more chores. 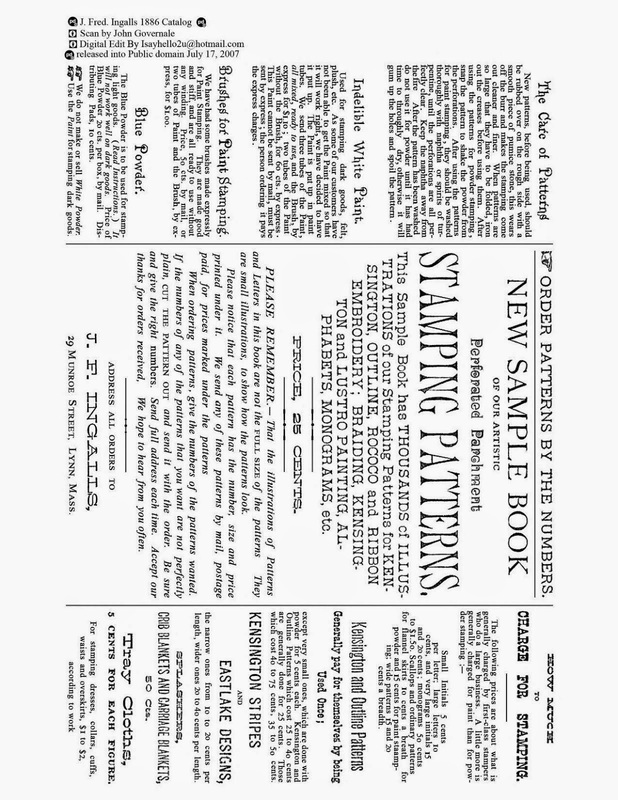 When I come back, it is time for the actual making of the paper. I get my new wet sheets of paper out on the towels on the table, and then I clean up a bit, and do more chores, then finally I come back and iron the paper under a hankerchief...to dry. Paper is made, and house and chores are done...or nearly. You know with a 2 and 6 year old around, they are never done...but yet I get a lot of satisfaction by just making a dent! Have a great Sunday tomorrow!!! How to make homemade paper like the ones in my previous post. Upon the request of some of you who read my blog...I was going to type out how I made my paper, but I decided, instead to give you the most awesome paper making site that inspired me to make paper with just a piece of screen...so easy! I had made myself a kind of "holder" for my screen, to press the water out of, but in this video, I found I really didn't need anything but the screen! That was very liberating. The only thing I found, is that you will need one other person to help you lift the screen with pulp all over it, out of the water, and hold it taught while the water drains out, and then you lay it on top of some newspapers to absorb. Unlike in the video, prior to placing my pulp (while it was real wet on the screen), I placed it on newspapers and covered it with a peice of felt and squeezed all the water out by pressing down with a sponge all over it. THEN I moved it to the towel. If you scroll to below the video on THIS PAGE, you will see many other ideas/suggestions for your paper. I hope you have a lot of fun, if you choose to try it! I got home from a hard days work, and immediately we left for dinner. The minute I got back home, around 7pm, I knew I had to try a new paper experiment. I had watched a YouTube video last night where the paper maker had added a piece or two of colored construction paper... well...that called my name subconsciously all day until I had to have a go at it! I even did it at the table inside, rather than in a wheelbarrow outside! It all worked out and was much easier and cleaner. You can even see some letters in the white papers I put in. I think I blended it just the right amount of time to leave a little larger pieces of color in there. I threw in a piece of red and a piece of orange construction paper, and one of those sheets had embedded silver sparkles. I threw in about 5 cups of shredded white paper from my shredder machine. After I ground it up in the blender (to a pulp), I added a handful of dried rose petals, which really added a lot of dimension. These sheets are not completely dry yet...and it was hard to get a good clear shot of them...but they are really neat looking! I think I will try a few sheets with blue and green added, and a few with blue and purple. The sky's the limit on this! I am even wondering now how they would look made in to paper beads!!! That's next! Cosmos and an animal love affair!!! Here are our latest seed planted Cosmos! Our seed package showed shades of yellows and oranges...but we got varying shades of pinks, magentas, and lavenders! Oh, I think I see a white one in there too! They are so long stemmed, and blow so sweetly in the breeze! Viewable from my kitchen window, I am in heaven! Please click on this link to watch a video of an orangutan who falls madly in love (or in extreme LIKE) with a hounddog! It is heartbreakingly cute, and brought a tear to my eye! If you love animals, you won't have a dry eye!!! Thanks to my sister-in-law, Lynn, for sending to me!!! Here is an eggplant I took off one of my plants! What does it look like to you? It looks like some sort bird to me...or maybe a mole rat??? Ha. I just keep looking at it and think it is so cute!!! How is everyones weekend going to be? I hope it will be a wonderful time for you all. 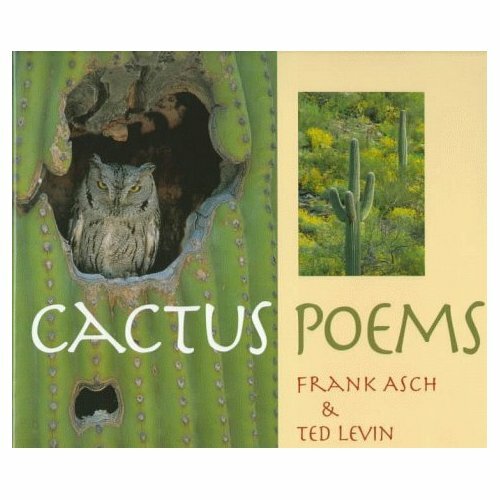 This looks like a neat book: Cactus Poems, by Frank Asch and Ted Levin! Today was interesting to try and navigate, since my voice is still gone, and everyone wanted to talk to me, being that it was Mothers Day! Different folks took the phone to speak for me throughout the day. The grandkids went to the other grandparents house for the day, so daughter and Mom and I went shopping and to a late lunch! That was nice. Had one of the best pizzas EVER...and the toppings were: (drum roll please)...pineapple and bacon. Delish!!! After Emily was asleep, Donovan, daughter and DIL and I melted chocolate in the microwave in small sandwich sized ziplock bags (melting directions are on bag...but must go slow and be careful, as we had a few bags melt into the candy which we had to throw away). Here is the melting chocolate we used...there are many colors, but we had bought brown and yellow to try and make sunflowers. You can see that we had tried putting coloring book pictures under wax paper to "draw" out candy shapes, but that didn't work out too well...so we did free hand. This gets 5 stars as a family fun activity!!! I think next will be each making our own individual pizzas...mine with pineapple and bacon, of course!!! I'm dripping in eggplants, and other garden delights! When I got home today, the lighting seemed perfect for a few garden shots! And K. daigremontianum. Isn't this just gorgeous colors??? The new Drift Rose is getting covered by new flowers! I have a load of green tomatoes. Besides this plant, I have 3 more plants loaded up!!! I think I will make Emeril Lagasse's Green Tomato Pie...I found the recipe in my last Organic Gardening Magazine! Looks delicious! How many eggplants do you see hanging in there??? I counted 8 visable ones, and a few more were hidden by leaves!!! These babies are continually producing...I have to admit we are reaching the brink with consumption though...I think I have too many plants for sure...but it has been a ton of fun!!! This little guy ran out just in time for me to snap a pic of him...he seemed to enjoy modeling...stood there quite a while! It looks like his body is wet, and his tail is dry, doesn't it??? I still have laryngitis tonight, but feel good. It has been a strange illness in that I have been able to carry on throughout. Thank God! Here is a question for you! I have had a cold the past 4 days...made it to my laptop training at work each day, controlled with medications, sat away from others, etc...but last night it moved to my chest and I have laryngitis now. No fever. Very little cough (controlled with inhalers)...now here is my question...should I still go to classroom (It's Friday), and finish my week of laptop training, or call off??? I know how I love to talk...and will be unable. This is a tough one. Everything else here is going well. No new pics to share, sadly. My friend, Cindy, out in California..."stole" one of the pictures from my last post, and turned it Ducky! Hahaha! Isn't she cute??? I just noticed how she has a heart on her tongue!!! Thanks Cindy!! !